After missing last year's Sony Open, both World No 1 Rafael Nadal and 17-times Grand Slam winner Roger Federer return to SouthBeach this week along with their box office punch. There will be no shortage of tennis glitterati around Miami for the next fortnight with 19 of the top 20 men's and women's players in action at Crandon Park but perhaps none more welcome than Federer and Nadal as their absence last year left a hole that could not be filled. Nadal and Federer are box office gold for any tournament and with the Spaniard missing due to a knee injury and the Swiss maestro on an extended break last year's attendance dropped 5.5 percent to 308,000. 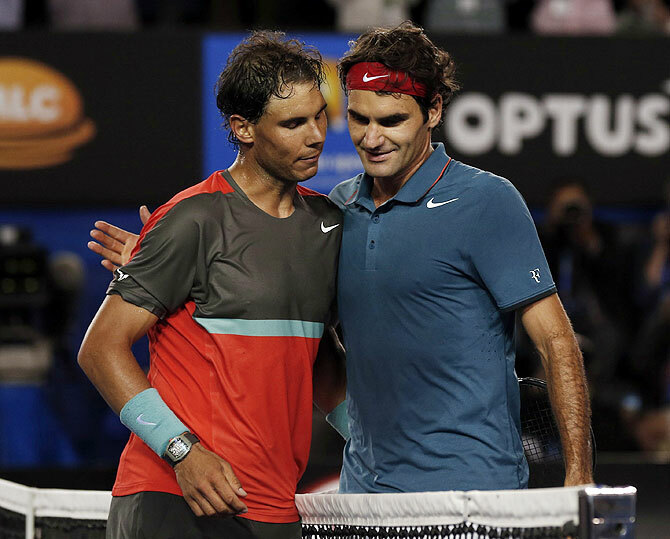 "Anytime you have two stars the size of Roger and Rafa, guys who are bigger than the sport, bigger than tennis, missing it hurts," tournament director Adam Barrett said on Monday. "These guys are superstars, they draw crowds whether they are at the airport, a hotel or walking through a mall. "Anywhere they go they are going to bring additional crowds both tennis and non-tennis folks." With a promising weather forecast and lineup that includes World No 1 Serena Williams, Maria Sharapova, defending men's champion Andy Murray and three-time winner Novak Djokovic the Sony Open could set record ticket sales this year. "A lot of it has to do with how the draw unfolds," Barrett said about a possible attendance record. "A lot of years when you set record attendance you get intriguing matches. "Every year you wait, you let it unfold, we will be close to records every year. The only thing that really takes records out of the equation is rain." The women's main draw gets underway with first-round matches on Tuesday while the men's main draw begins Wednesday. After a first-round bye, Nadal will open action against the winner of Dutchman Robin Haase and Australian Lleyton Hewitt, who will be chasing his 600th career win. Third-seeded Australian Open champion Stanislas Wawrinka along with big hitters Canadian Milos Raonic and American John Isner lurk as danger men. But it is the bottom half of the draw where the real intrigue lies with world number two Djokovic, fresh off a win at Indian Wells, two-time winner Federer and holder Murray all eager to add another Miami title to their resumes. 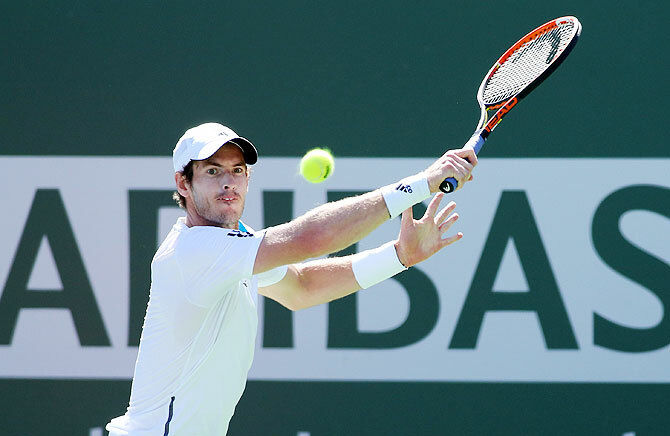 For Murray, who maintains a residence in Miami, the Sony Open will be a bit of a home game but his road back to the final is a daunting one with a possible last-eight clash with Djokovic and a semi-final meeting with a re-energised fifth seed Federer, coming off a runner-up finish in Indian Wells. Williams, a six-time winner in Miami, will open her title defence in the second round against either Italian Francesca Schiavone or Kazakhstan's Yaroslava Shvedova. Fourth seed Sharapova is on the same side of the draw as Williams along with in-form Italian Flavia Pennetta, who is carrying the momentum from her victory at Indian Wells. The other side of the draw features second-seeded Australian Open champion Li Na of China, third seed Agnieszka Radwanska of Poland, the 2012 champion and runner-up at Indian Wells, and Venus Williams, who has three Sony titles in her trophy case. Raja Sen's F1 column: What does the 2014 season have in store?